November 23, 2012 in "etsy update", "one of a kind"
After way too long a dry spell the TFA One Of A Kind Etsy shop is officially re-opening for business tonight at 8pm EST with a beautiful selection of yarns and Thrummed Mitten Kits! 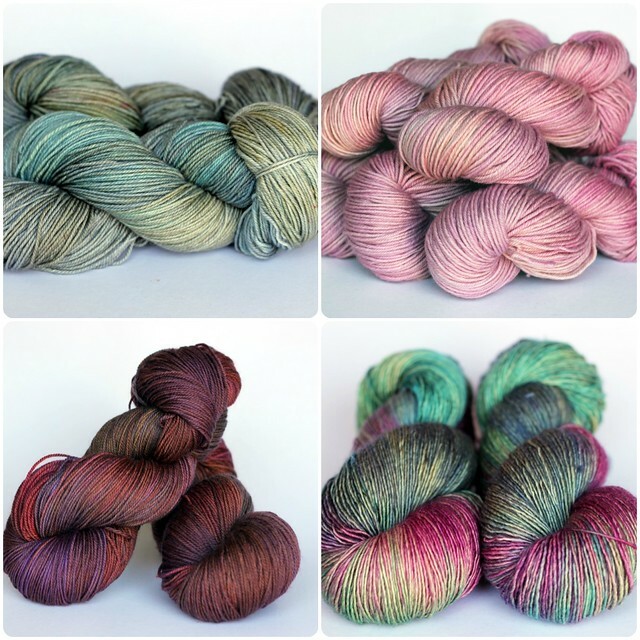 Featured in tonight's update is: Green Label, Orange Label, Blue Label, Purple Label, Red Label and a few other special skeins all waiting to find their forever homes! There are several colourways in tonight's update that I would rather not part with... it's one of the toughest parts of my job.